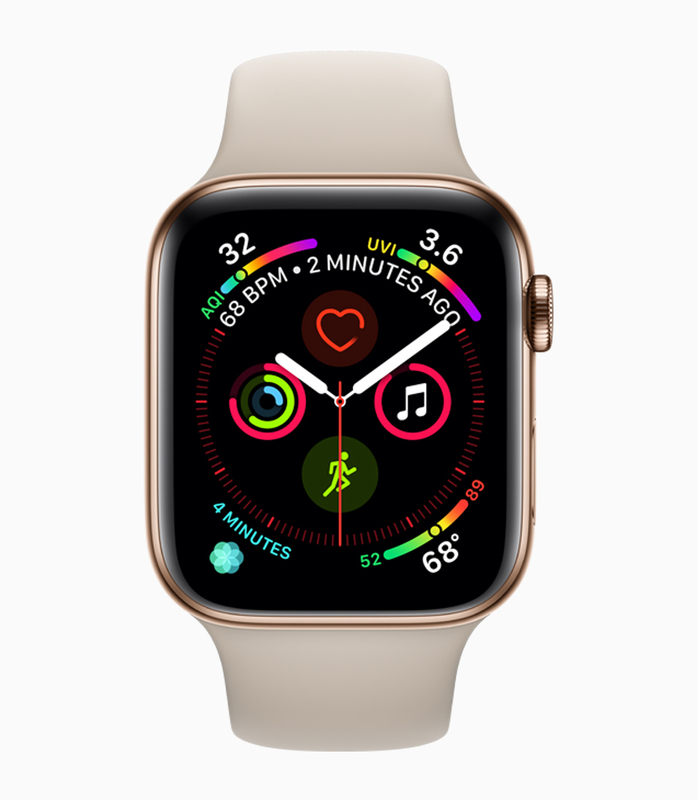 Apple showed off its new Apple Watch Series 4 lineup on Wednesday, debuting wearables with screens that are 30% larger than previous models, and boasting new health capabilities, the ability to detect hard falls, and an electrical heart rate sensor that can take an electrocardiogram (ECG) using the Watch’s new ECG app. The back of the Apple Watch Series 4 is made up of black ceramic and sapphire crystal, allowing radio waves to easily pass through the front and back for better cellular service. The Digital Crown now offers haptic feedback, offering a more mechanical and responsive feel. 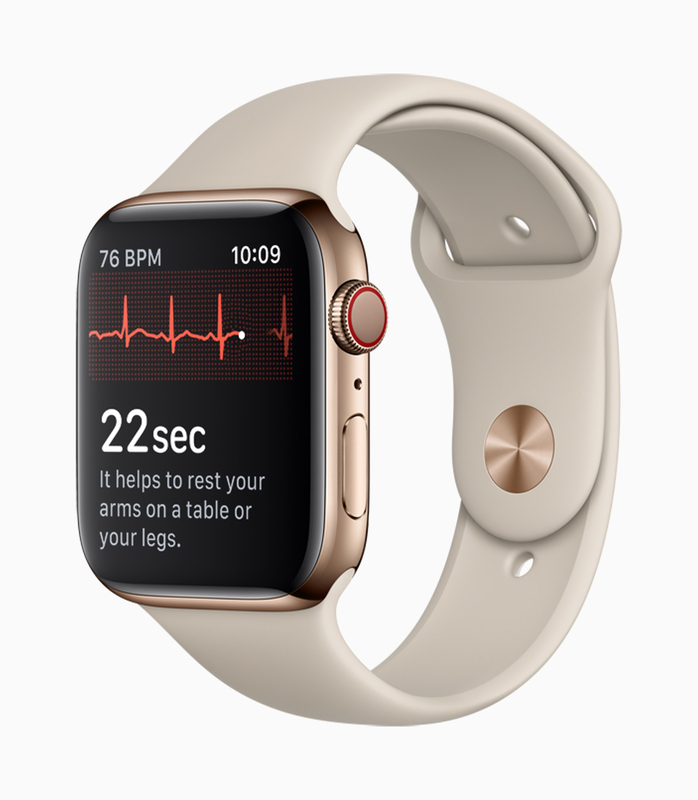 Apple Watch Series 4 enables customers to take an ECG reading right from their wrist using the new ECG app, which takes advantage of the electrodes built into the Digital Crown and new electrical heart rate sensor in the back crystal. The new feature allows users to touch the Digital Crown and 30 seconds later receive a heart rhythm classification. The new feature can classify if the heart is beating in a normal pattern or whether there are signs of Atrial Fibrillation (AFib), a heart condition that could lead to major health complications. All recordings, their associated classifications and any noted symptoms are stored in the Health app in a PDF that can be shared with physicians. The Apple Watch offers improved fitness and workout features. Activity competitions allow users to challenge other Apple Watch wearers, automatic workout detection provides an alert to start a workout while giving retroactive credit, and Yoga and Hiking are new dedicated workout types that accurately track active calories burned and exercise minutes earned. Runners can take advantage of extended battery life — which is increased to six hours — for outdoor workouts and enjoy high-performance features, including cadence for indoor and outdoor runs, pace alerts for outdoor runs and rolling mile pace, which shows pace for the immediately preceding mile. The Apple Watch Series 4 (GPS) starts at $399 (US) and Apple Watch Series 4 (GPS + Cellular) starts at $499. The Series 3 model will stick around, and will be available at a new starting price of $279. 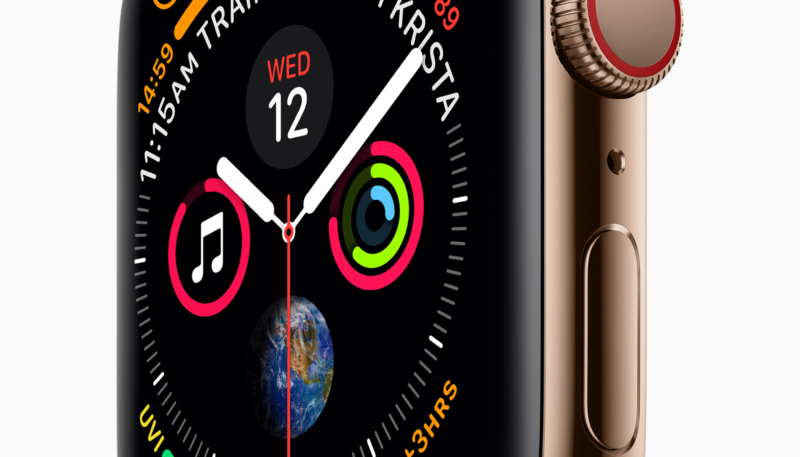 In addition to three aluminum finishes anodized in silver, gold and space gray, the Apple Watch Series 4 will be available gold stainless steel with matching Milanese band, joining the silver and space black stainless steel models. A new collection of bands debut for fall and all bands continue to work with any generation of Apple Watch.